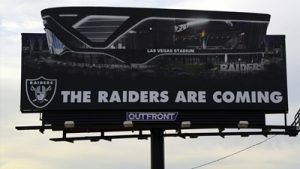 Caesars Entertainment Corporation (NASDAQ: CZR) announced Thursday that it had inked a landmark 15-Year partnership with Las Vegas Stadium, securing sponsorship rights with the -soon to be- Las Vegas Raiders when the team relocates from Oakland, California in 2020.
tickets to home games and most stadium events. In March last year at the annual league meeting in Phoenix, a 31-1 vote by NFL owners approved the Raiders relocation to Las Vegas after 45 seasons in the Bay Area. 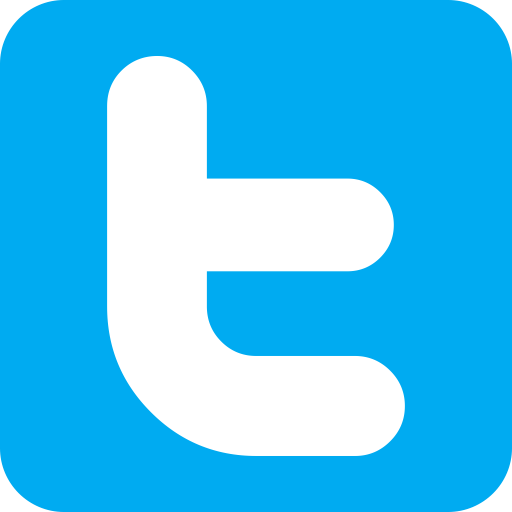 The city of Oakland wanted to keep the team, which has been based in the East Bay region of the San Francisco Bay Area since 1960, only relocating to Los Angeles from Oakland in 1982, and then returning in 1995. However, a last-ditch effort by the city’s mayor, Libby Schaaf, and particularly because of a $750 million public subsidy from Las Vegas toward the new stadium, was too little too late. 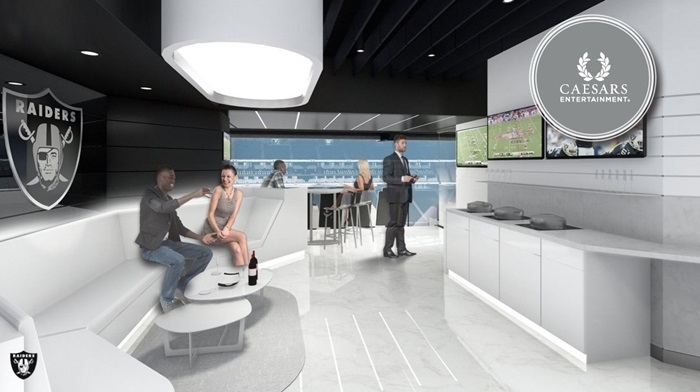 Courtesy of the partnership, Caesars will earn branded stadium entrances, media, radio and print assets, digital signage, as well as alumni, player and cheerleader appearances. 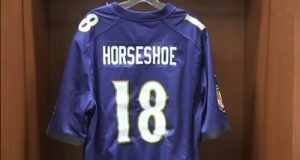 The Raiders aren’t the gaming giant’s first NFL partnership, however, as the company via its Horseshoe Casino Baltimore inked a multi-year marketing deal last month with another NFL team, the Baltimore Ravens. The Ravens deal is Maryland’s only partnership between an NFL team and a casino. Just months after the Supreme Court overturned a U.S. ban on states accepting bets on professional and college sports, early in September, Brian Rolapp, President and Chief Executive Officer of NFL Network and Executive Vice President of Media for the National Football League, revealed that the league’s longstanding ban against casino advertising would be lifted enabling land-based casino operators the opportunity to sponsor its team franchises during NFL 2018/19 games. The Dallas Cowboys and owner Jerry Jones were the first NFL team to take advantage of the new lucrative sponsorship opportunity and just days after the announcement by Rolapp named the Chickasaw Nation of Oklahoma-owned and operated casino and resort in Thackerville, Oklahoma the official casino of the team.